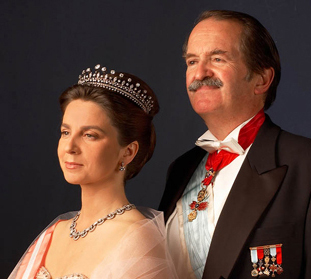 The Order of Saint Eulalia recognizes Their Royal Highnesses Dom Duarte and Dona Isabel as the rightful Dukes of Braganza and Legitimate Chiefs of the Royal House of Portugal. The ascension of the House of Braganza to the Throne of Portugal (1640) and the foundation of the Order of Saint Eulalia (1643) are intimately linked. The parish of Saint Eulalia of Fornos (Northeast of Portugal) where the Order was founded was severely punished by the armies of Castile during the Restoration wars. Dame Leonor Mateus, founder of the Order, was not only an outstanding personality in the region but also a loyal servant and supporter of the House of Braganza. In 2008, during the reformation of the Code and recognition of the Order by the State of Portugal, the loyalty to the Serene House of Braganza was consecrated in print Chapter II, Article 9. Later on in the Chapter General after the publishing of the reformed Code the Knights and Dames acclaimed Their Royal Highnesses and the Legitimate Chiefs of the Royal House of Portugal. 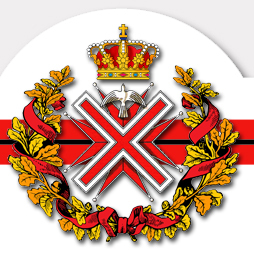 In the Order of Saint Eulalia Their Royal Highnesses hold the supreme title of Princes and Grand Masters of Honour, with the equivalent of the rank of Grand Cross (reserved to the Heads of State) in the habit and insignia.